Welcome home! 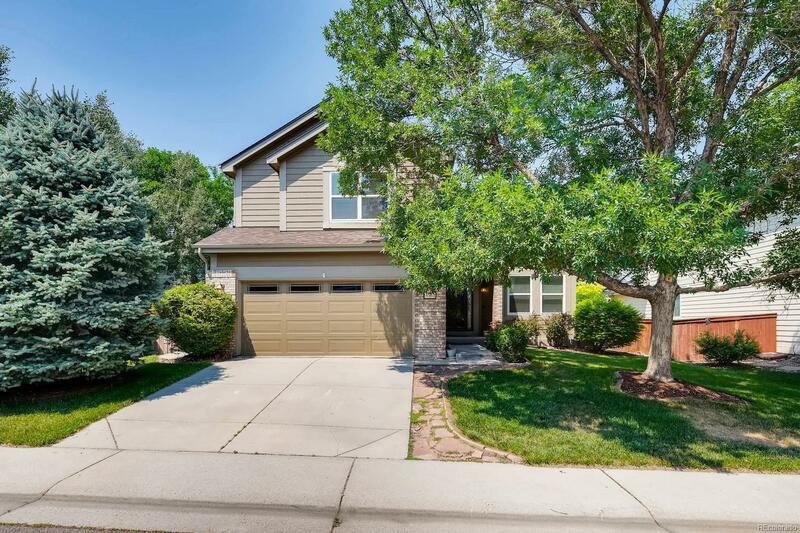 This home is beautifully situated in a quiet neighborhood and backs up to open space that provides bike and walking trails. The home has been loved and recently upgraded. New Amerimax double pane windows, custom cabinetry, granite countertops, newer appliances, touchless Moen kitchen faucet, newer furnace, newer hot water heater, newer roof, new carpet, new tile flooring, and a new garage door and lift. That's just the tip of the iceberg! There's a large dog kennel in the back for your furry family members and a basement with surround sound wiring for your not-so-furry family members! The kitchen opens up into the family room for easy entertaining, and don't forget to check out the custom cabinetry in the family room! Great for entertaining and easy living. East access to shops, C-470, and the mountains. Come see it today!